Coping with the demands of family, work life, school and social activities can often create difficulty when setting aside time or finding motivation to start a new fitness regimen. Today many are integrating a running routine into their lifestyle in hopes to aid just about every part of their health with physical and mental benefits that are well worth the effort. In recent years, studies have proven that running not only has the power to change your life, but make you fit, healthy, and even happier. For years we have all heard of the “Runner’s High,” and it is truly not a myth. Scientists at the University of Montreal recently discovered that the “high” we experience while running is caused by the body fat hormone “leptin,” an important neurotransmitter that motivates and influences physical activity. Over the years it’s been well-documented and proven that running not only benefits the body by fighting certain types of disease and enhancing moods, but improves self-esteem and generates happiness. With a wealth of information readily available at our fingertips, the process of understanding how to start can become overwhelming to those seeking a new routine. For those looking to add a run cycle to their weekly routine or those looking for inspiration, check out these five simple steps to get you started on pounding down that pavement. Disclaimer: If you are not accustomed to exercise and have never run before, it is essential before committing to any running regimen that you consult with your doctor first and make sure there are no underlying issues with regards to your current health status. Schedule a visit and share your run plans with them! Compared to other fitness-related activities, running is evidently recognized as one of the most inexpensive due to its minimal gear requirement. Before picking run paths and which hours of day are most appropriate to your schedule, it is essential to have a proper pair of running shoes. Choosing to run in shoes that are worn out will not only create major discomfort to your feet, but long-term running with improper footwear can lead to shin splints, knee pain and a long lost of other injuries which are the utmost last thing anyone needs before getting started. Concurrently, running in tight shoes isn’t helpful either because your feet will swell up a whole half size on long runs. Wise advice would be to shop for running shoes at the end of the day after walking around on them for hours as this imitates what happens during a run. For women, the second most important item required for running is that friendly, supportive, high-impact sports bra. Getting a bra with minimal support is not only going to create tension in your upper body, but reduce breathing capacity and surprisingly, make your run feel longer. If serious about adding running to your fitness routine, sit down and examine your schedule. Running is not easy unless you are consistent and have a solid routine in check. With just 30 minutes a day, three to five times a week, runners can seriously reap the rewards quickly and efficiently if they only set aside time. It’s a question many runners ask when starting out and there is no right answer. While treadmills are evidently perfect for those days when the weather dampens more than our spirit, they are equally effective in easing runners into new distances and paces. Moreover, the cushioned surface on the machine itself complements the impact of the runner’s weight, thus reducing the risk of a possible injury runners might develop from constantly pounding their legs on the pavement outdoors. That said, running outdoors can do wonders for your body. Clear sky, sunny day, birds chirping and fresh air—all positive factors to push and motivate you further. After weeks of flat running though, runners might want to integrate hills to the mix which can ultimately make you stronger and break up the usual routine. Running up hills not only makes life interesting and tests your stamina, but it improves your leg strength and helps you burn calories faster. When running, it is important to focus more on the number of minutes rather than the distance. The first minute of running might feel tortuous as the body feels all sorts of things like a pounding chest, burning legs and the sensation of a heart attack on the way. Cool it down and watch your pace! When you begin running, don’t plan long distance or speedy runs as doing this will increase the risk of injury. 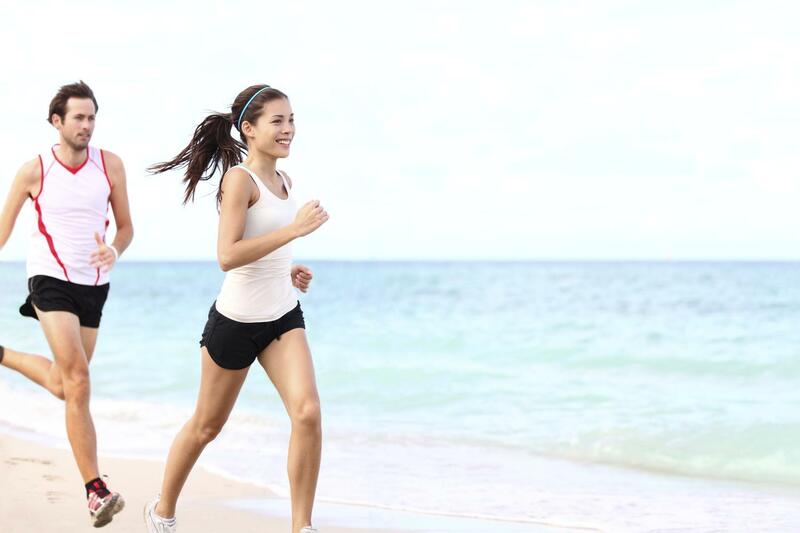 Instead, start by implementing runs into spurts during your walks. If you can start with four or five minutes of walking and alternate the session with running, you’ll build strength and stamina. Try to keep a conversational pace during your session three days a week with rest in between. 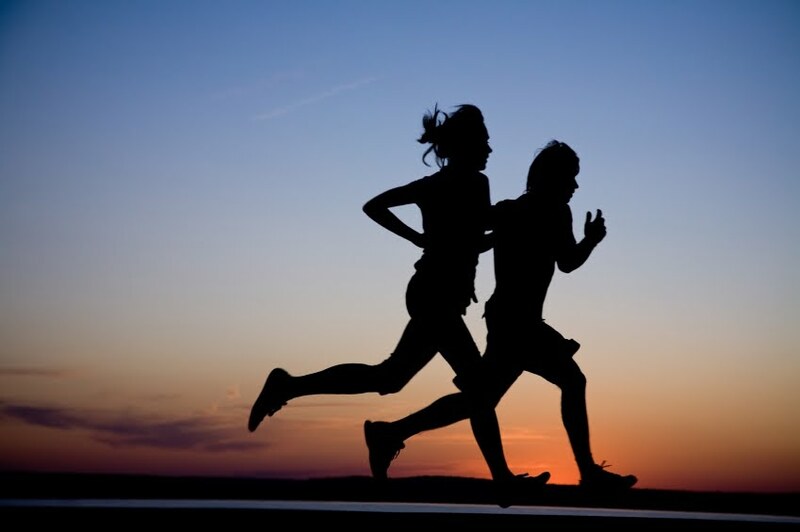 Gradually increase the time you are running, along with the days. As you get stronger and build endurance, you will begin to eliminate walking and turn more to the running aspect. Running is a very physical and demanding sport, so stretching is necessary after every session. The repetitive motions tied to running not only propel the body’s muscles forward, but also require great strength and coordination. Because of this, runners need to be conscientious and consistent in the care of their muscles. By stretching the muscles before and after a run, injuries are less likely to occur and the body will not feel as pained afterwards. Running isn’t an activity for everyone, but you’ll never know of the experience and value it brings unless it’s tried out with adequate time and patience. While the battle might seem like one with your lower body and legs to endure run sessions, it’s all about the mindset. Becoming a runner is about recognizing the value in every step along the way, while powering through to make your goals a reality. Many consider running low-tech and an “easy” activity to do, but keep realistic expectations in mind and most of all, have fun with it. Guaranteed after a run you will feel immediately gratified and happy with yourself. The “Runner’s High” brings a great sense of freedom, independence and solitude essential for your well-being. Not only can the activity benefit runners by lengthening lifespan and creating larger social circles, but it can make those engaging with the activity on a routinely basis happier as researchers have discovered, as well as keep you sharp and agile for years to come. Awesome Advice. Been Three weeks into mine and I’m definitely seeing results! But these are some awesome pointers.